Great Cigar, I smoke Don Carlos #3 and Hemingway Short Story but this is my favorite of the three. Medium to full strength, Cameroon wrapper, even burn. Good intro to the Don Carlos line. The Don Carlos #4 is a nice intro to the Don Carlos line. Still overpriced as with the whole Fuente line but when you enjoy a cigar from time to time, go to The Don! The #4 is not as luxurious as the Robusto,Belicoso or #2 but a nice start. Light,chocolatey decent complexity. As with the whole Don Carlos line, very smooth! There are a lot of cigars to choose from, but I choose Don Carlos #4 as an always go to cigar. Good flavor, smooth, good burn. Very Nice. 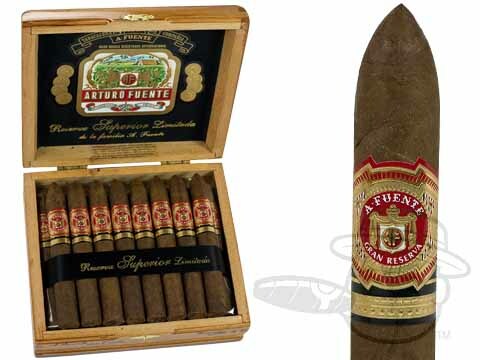 Arturo Fuente Don Carlos #4 is rated 4.5 out of 5 based on 6 customer ratings.